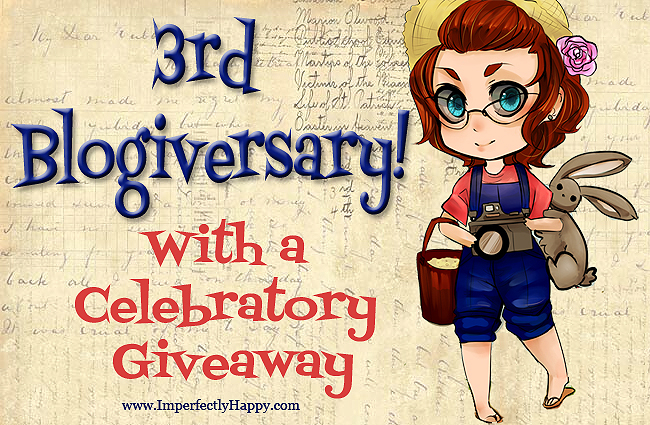 The 4th Blogiversary and Giveaway! Today is Imperfectly Happy’s 4th Blogiversary – 4 years since I started a blog about my backyard homestead. It is just amazing to me. I love this blog more today than I could have ever imagined. I love connecting with my readers and sharing knowledge (I got the hard way). I’ll be honest, when I started Imperfectly Happy 4 years ago, I really didn’t have a vision for it. I just wanted to share what I was doing without annoying my friends and family on Facebook. 😉 But over the years it has become a place I share my ideas, my experience, a good DIY, a recipe; in short it has been part of my passion for homesteading. I cannot thank you all enough for visiting the blog, commenting your thoughts, following me on various social media, etc. ; some of you have been here from the beginning! Imperfectly Happy and it’s readers have become part of my life in a way I cannot fully express; but I am so thankful for you! The future looks bright and I look forward to celebrating 10, 15 even 20 years with you! I have more plans than I have time but be on the lookout for new and exciting things on the site! 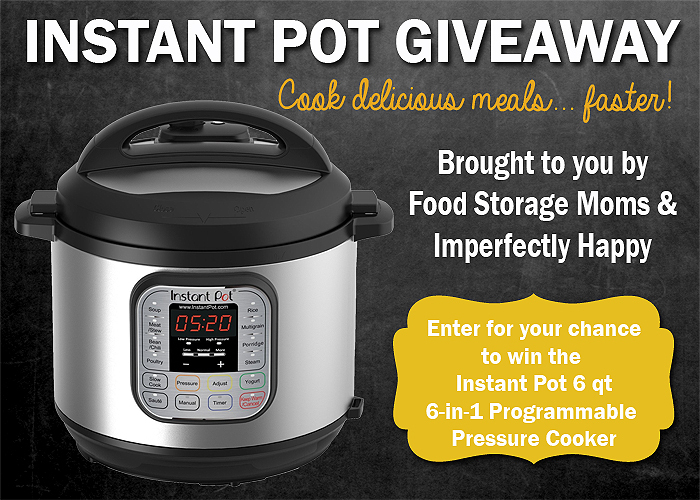 Here’s something to get excited about my friends – an Instant Pot Giveaway! The Instant Pot has quickly become my all time favorite kitchen appliance. My poor crock pot has barely seen the light of day since the Instant Pot made its debut in our house. The first thing I did was “hard boil” some fresh eggs in it. 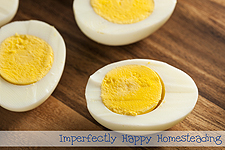 Now if you have hens you know how impossible it is to peel a fresh egg that has been hard boiled. But they basically fall off after cooking them in the Instant Pot. Put your eggs in an ice water bath to stop the cooking process – just long enough so that you can hold them comfortably. 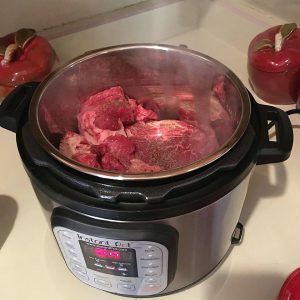 I also make a mean pot roast in my Instant Pot – get that recipe here! But I also love to use it for rice, oatmeal and BONE BROTH, just to name a few things. If you love Bone Broth, the Instant Pot is about to become your new best friend! How about 2 hours to perfect bone broth goodness?!?! I even made, hand-down, the best mashed potatoes in my Instant Pot. I know I am constantly looking for new ways and new recipes to use…. 3rd Blogiverary – can I get a B*I*G High Five? 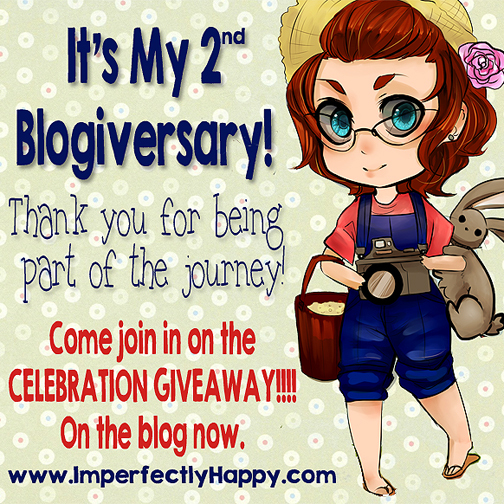 Yes, I’ve been blogging on Imperfectly Happy now for 3 years. The blog has grown a lot in the last 3 years and many of you have been with me from the beginning, so you know! Three years ago I needed a place to share my ideas, recipes, DIYs and a place to share my backyard homestead. I wasn’t sure if anyone even be interested in reading what I had to say. But then people started commenting, following the blog on Facebook, pinning articles on Pinterest and WOW….I was shocked and super happy! It is good to know that I am helping others with what I’ve learned the hard way…. I started this blog 2 years ago as a means to share my backyard homestead with family and friends. It quickly morphed into sharing my recipes, advice, mistakes, projects and so much more. Then others joined in and WOW I was stoked! I am so thankful to all of you who have supported this journey with your comments, likes on Facebook and all your awesome feedback. I see so much for the future of our micro farm and the vintage skill obsession of mine. It blossoms a little more everyday; and I love sharing it all with you. Your feedback, questions, suggestions and virtual high fives make my day. I hope you’ll keeping reading, sharing and talking to me. 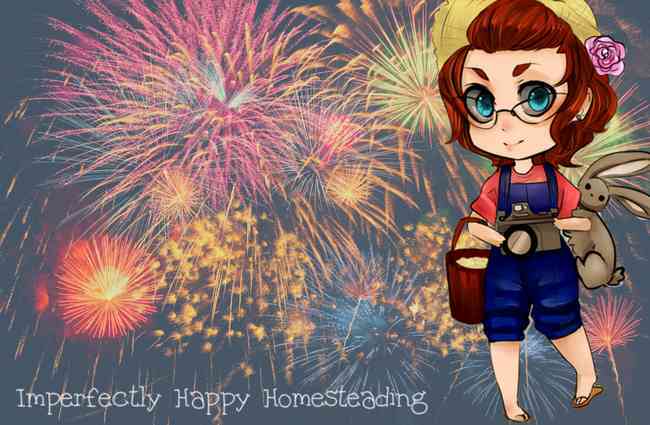 I feel privileged to be a part of this awesome online homesteading community. Garden canning is one of the sweet benefits of homesteading. Growing in abundance during your best season and then being about to store the extra away by canning it; you gotta love that! Canning is one of those vintage skills that man of us didn’t learn growing up but it is never too late to start. There is something special about looking at your rows of beautiful jars; knowing you grew and preserved those yourself. 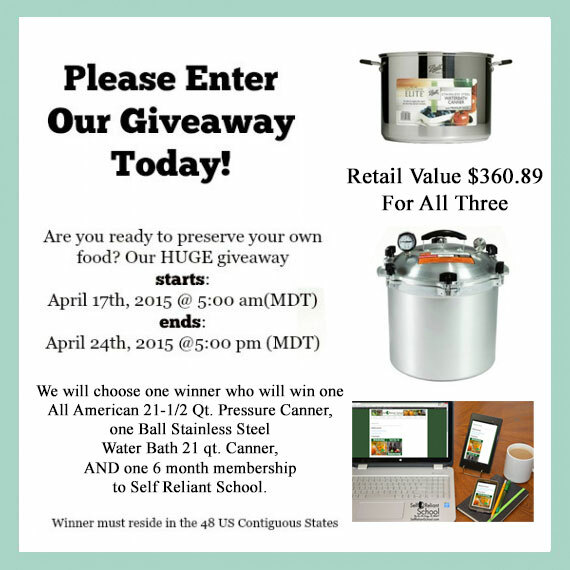 I hope that this latest giveaway will help you on your canning and self-sufficiency adventures! A wonderful group of blogging friends have joined me for this awesome giveaway and ONE lucky winner is going to get ALL the prizes!